The 2014 garden is in full swing, and here are some photos from yesterday with some highlights of the current progress. 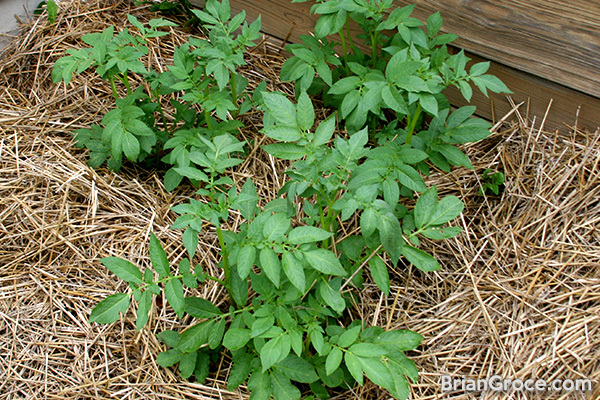 This is my first year giving potatoes a whirl, and the Yukon Gold Potatoes are doing their thing. This is much of a learning process for me, but they are clearly growing, so we’re at least that far. I’m hoping these turn out excellent, as everyone says home grown potatoes are unrivaled in flavor. 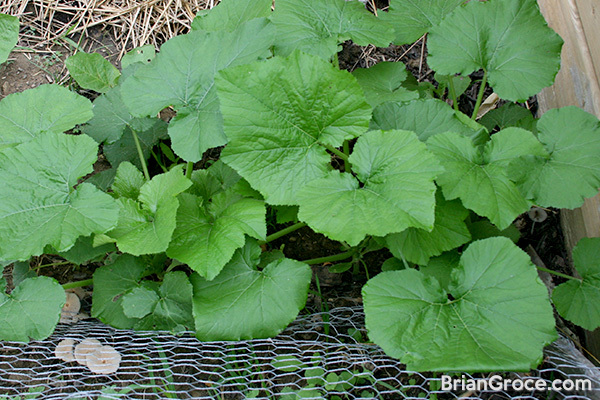 This first area of Zucchini Squash has taken off, and I’m hoping to get these up the trellis soon, instead of on the ground like I have in the past. Zucchini has always flourished for me, but is always tricky due to how quickly they pop onto the vine and are larger than you’d like in a hurry. 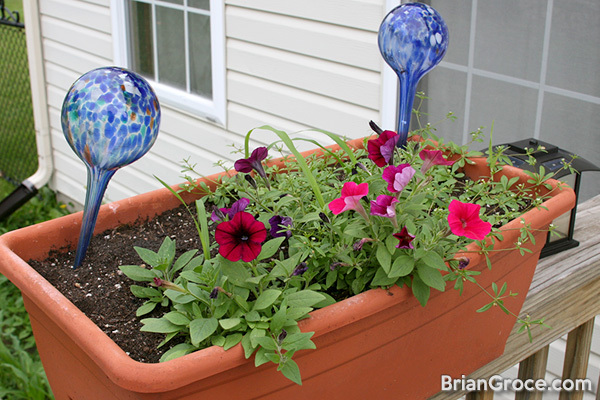 This is one of the planters on the deck, with VOLUNTEER petunias (and a few weeds). Maybe I’ll save their seeds this year, as they are clearly viable. 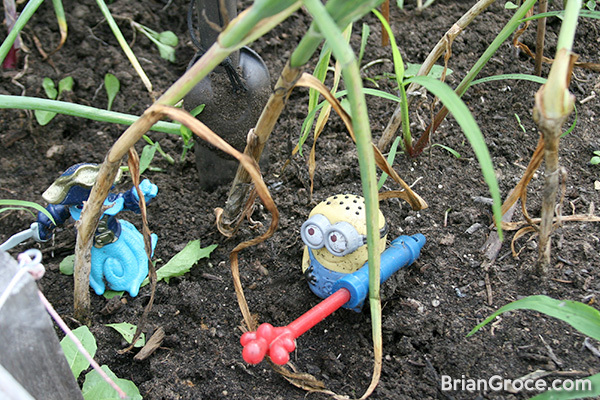 The troops have been keeping watch over the garlic, and made it clear that the time has come to harvest. 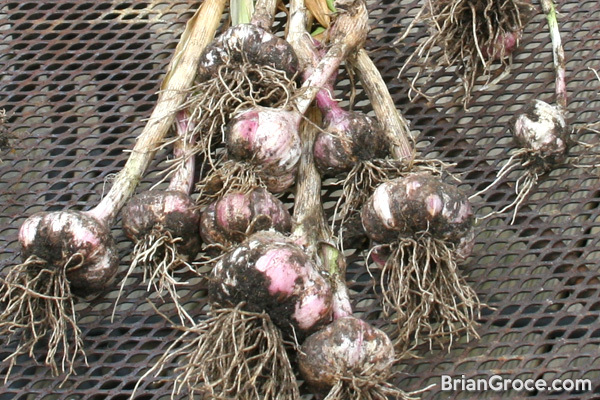 This was my first time growing garlic, and it was planted last fall. Early on it was looking great, but the garlic did not do nearly as well as I had hoped, and a little over half grew as intended. They were looking great until the hail storms, then never really recovered. Now they’re curing and we’ll give them a whirl in some fresh salsa in a few months. 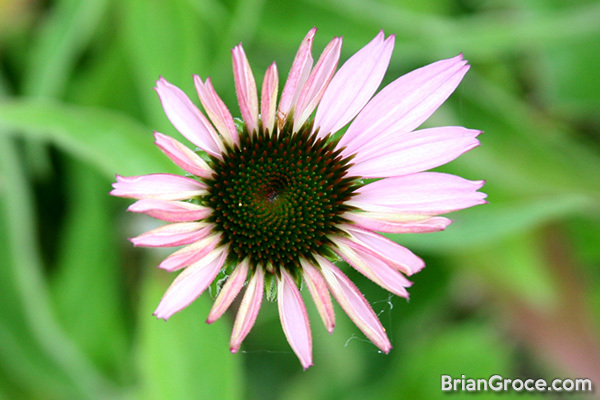 The first Purple Cone Flower (aka Echinacea) of the season bloomed yesterday. These were transplants from my folks yard. 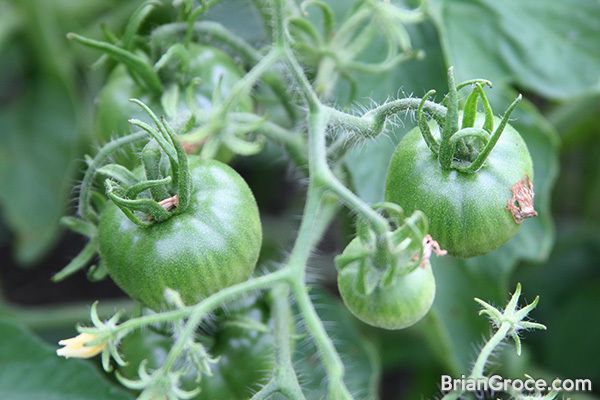 THE TOMATOES ARE COMING! THE TOMATOES ARE COMING! I’ve planted over 60 tomato plants of different varieties this year, in hopes of actually having enough tomatoes to can and freeze. 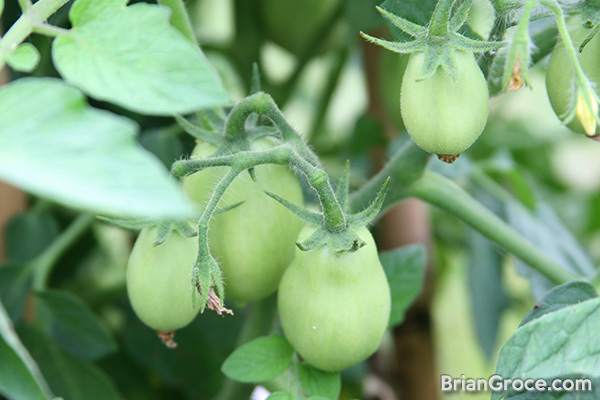 The Roma Tomatoes (above) are looking great. 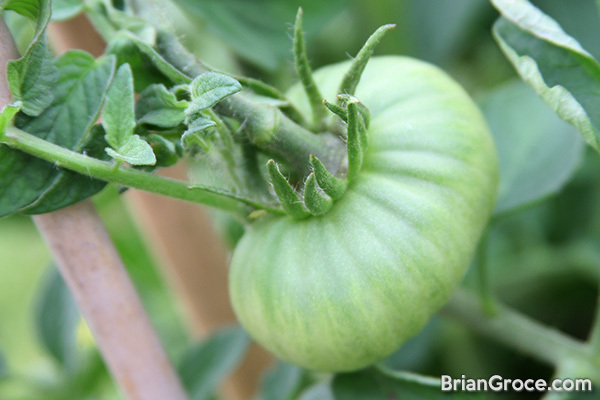 The variety above is called “Bloody Butcher”, and are a small early tomato. These should actually start to ripen in the next few weeks. Another new variety for me this year is the Cherokee Purple heirloom tomato. These are supposed to be a decent size, and as the name states, purple. This year I’m growing basil in between the tomatoes, and even some of the sweet peppers. 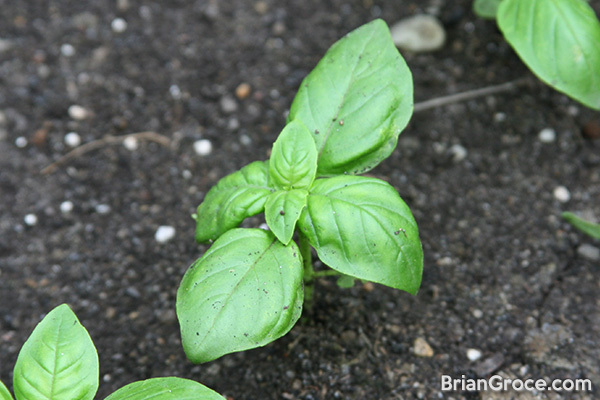 There are multiple varieties growing, with the bulk being sweet varieties to be used for pesto, and to dry. I’m hoping that these get enough light to flourish, but just in case I have plenty growing elsewhere as well. Last year my oldest son bought a Medusa Pepper plant at the Greenwood Farmers Market, and we saved some of the seeds to start plants for this year. 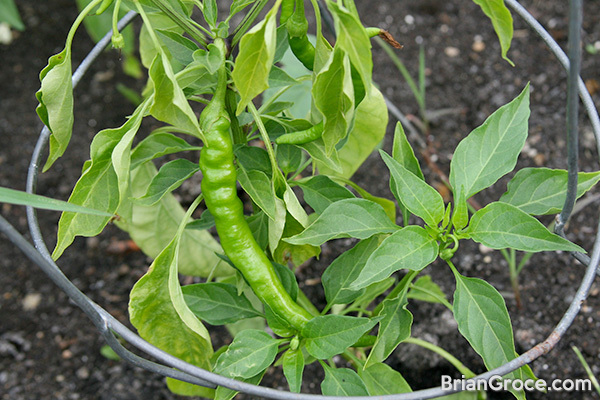 While technically an ornamental pepper, these pods are sweet and edible. I’d personally rather just look at them, but the kids love to pick them and eat them in the garden. I’ve upped the Bell Pepper space this year, also in hopes of having enough to cut and freeze to use for fajitas during the winter months. This variety is your standard California Wonder. 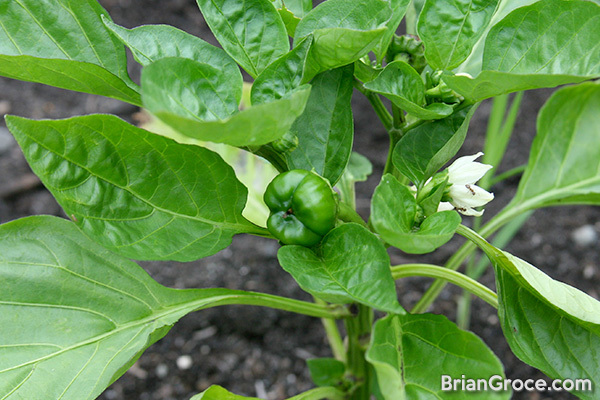 Jalapeno Peppers are a must have for nachos, so I have a lot of these growing this year. Many of these are ready for picking, which has kind of surprised me as I rarely have a decent pepper production before August. Just another reason to start from seeds I suppose. 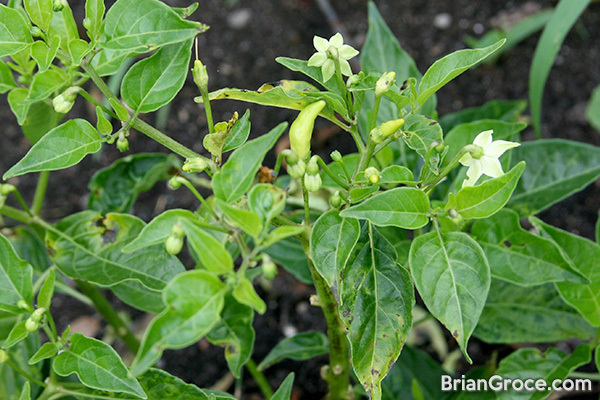 I added Serrano Peppers to the mix this year, and they’re getting close to picking. 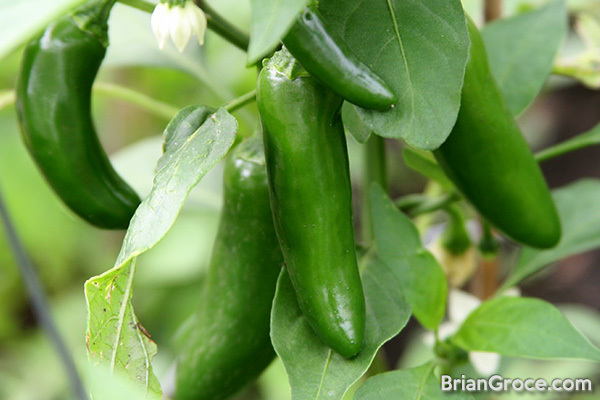 Being hotter than Jalapenos, I’m looking forward to cooking, and pickling, some of these bad boys. 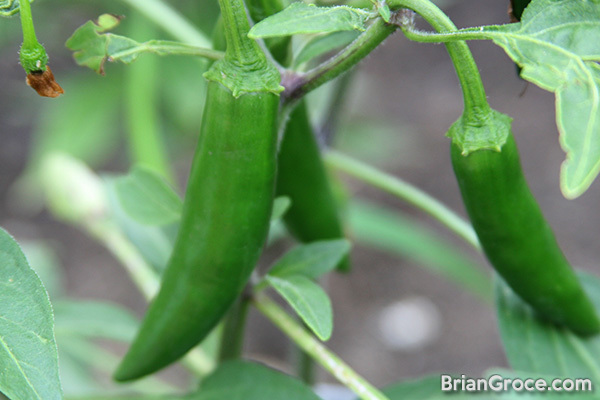 My favorite hot pepper would have to be the Cayenne (pictured above) due to it’s versatility, and the heat it packs without being over the top. A close second would be my Habaneros (just starting to bloom, so not pictured), as the taste is amazing, but not really recommend to eat whole unless you REALLY like the heat. Both freeze well, and when dried, make an excellent chili powder. I’ve been wanting to grow Tabasco Peppers for years, but am just getting around to it this year. 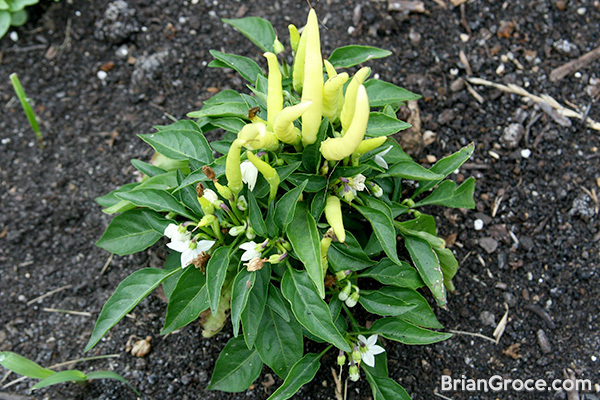 I have high hopes for these, and may even try my hand at creating a hot sauce (when I can have the house ventilated) with these, as well as the similar “Bird’s Eye” (Thai) Peppers that I’m growing. And finally, we have BEANS! This particular variety grows purple, then turns green once cooked. 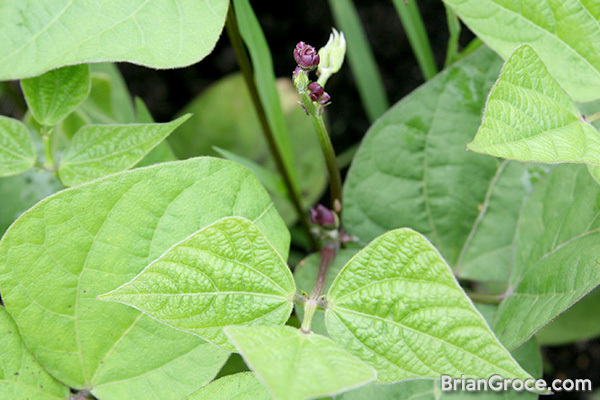 Most of the beans are just going into the ground now, so there will be many of those as the summer wears on. That’s the quick overview for the end of June, and barely scratches the surface of everything that’s growing this year. More to come!